We are currently only accepting payment through Paypal. If you prefer another payment method, we’re open to suggestions! Just send an email to orders@sensebridge.net and let us know. 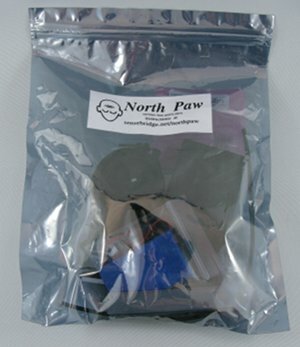 To place an order for a North Paw V2.0 Kit, simply click these friendly buttons and a Paypal cart will open in a new window. Once there you can enter shipping and payment options. You don’t even need a Paypal account! Assembly required: please read before ordering! North Paw kits are just that, kits: assembly required! You’ll need to have access to a soldering iron, wire cutters, etc. Find more details about the kit here. 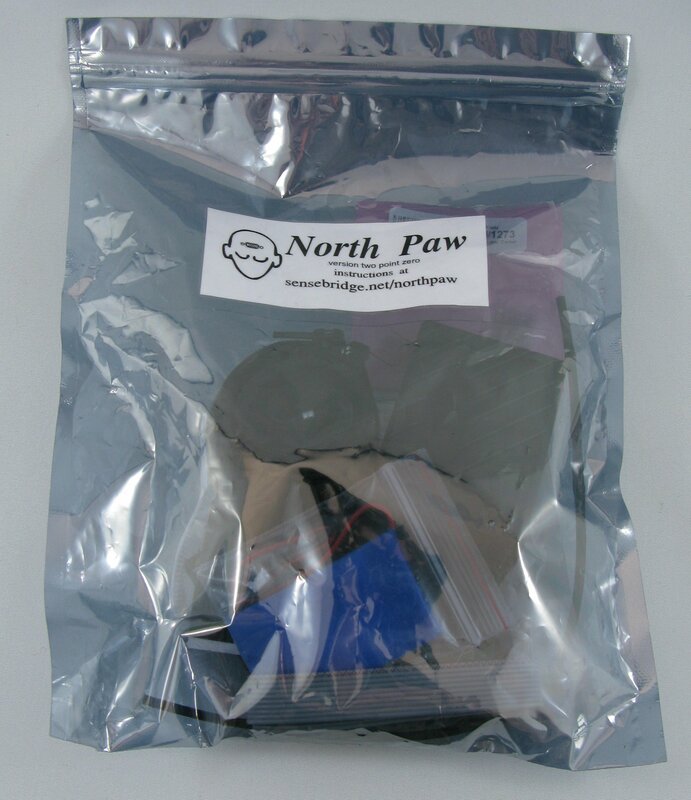 We are planning to eventually launch a product version of the North Paw, but it will be many moons before the product version becomes available. We offer an assembly service if you feel you cannot assemble it yourself, check it out here: North Paw Preassembled.